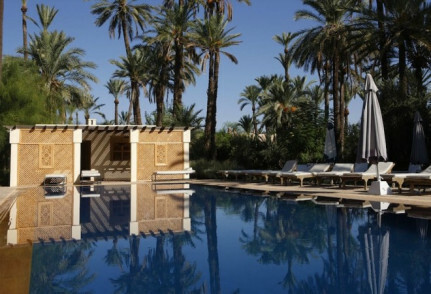 Take over the whole riad for a stay to remember! Delicious Moroccan cuisine served either on the terrace or dining room (in winter). Scour the souks for ingredients, then return to the Riad to learn how to cook them. Day trips and excursions to Atlas Mountains, Ourika Valley, Essaouira, Ait Benhaddou and the Sahara Desert can be organised. The warm welcome, attentive service, delicious food, peace and calm. Riad Dar Zaman is in the heart of the old historical city (medina), within easy walking distance of the main attractions - the souks, historical monuments, spas, cafés and restaurants. 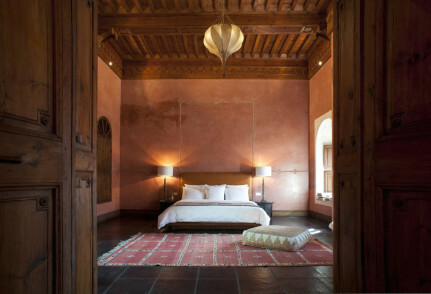 Outside of the medina there are modern art galleries, gardens and boutique shops, and for those seeking more action, we can help you organise mountain biking, trekking in the Atlas Mountains, quad biking, camel treks, hot air balloon rides and some world class golf. Our breakfasts include fresh fruit, homemade yoghurt, eggs, pastries, bread, fresh squeezed orange juice, coffee and tea. If you follow a gluten free diet, our chef Karima makes some delicious alternatives. We offer delicious lunches and dinners freshly prepared with locally grown seasonal produce. There are several excellent restaurants within easy walking distance of Dar Zaman and our team can make recommendations and take care of reservations for you. All our rooms have a unique feature with their own charm. Fantastic views over the medina and to the Atlas Mountains in the distance from the roof terrace.